You may have heard some noise in the media recently about the “next big thing” in energy – battery storage. 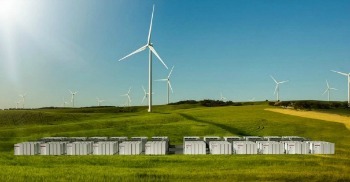 Visionary Elon Musk recently announced that his company Tesla was selected to provide a massive energy storage system paired with a wind farm in Australia. Once completed, following an ambitious 100-day implementation timeline, this system will be the largest lithium-ion battery storage project in the world. In typical Elon Musk fashion, the project has been touted in the media as a game-changer and a sign of things to come in the energy sector. So why is this project such a big deal? And why is energy storage so important? To understand why recent innovations in battery storage are such a big deal, we first need to understand how power is generated and delivered to homes, businesses and industry. What many don’t realize is that when power is generated, whether by a nuclear power plant, coal-powered plant or a wind farm, it is immediately transmitted to the end users through a series of substations and power lines through which the power is brought down from extremely high voltage to the standard voltage that you use in your home. As demand for electricity increases at peak times, typically early afternoon in the summertime when people return home for the day and turn on their A/C and other appliances, power plants need to ramp up their energy production, and power grid operators have the difficult task of ensuring that enough power is being transmitted to homes to meet demand, lest a brownout or blackout occur. This process often involves holding power plants at low usage when they’re not needed and turning them on during peak hours, which can be inefficient, and using fast-start generators to provide quick, limited power, which can be costly. Next, we need to understand how the smart grid is transforming this sometimes inefficient process through the addition of two-way communications technology. The digital technology in a smart grid allows for communication between the utility and its customers, and this, together with the sensors along the transmission lines, is what makes the grid smart. Not unlike the technologies that power the internet, the smart grid consists of controls, computers, automation and new technologies and equipment working together. These technologies work with the electrical grid to respond digitally to our quickly changing electric demand. With a smart grid, utilities are able to more easily sense problems and reroute power automatically, preventing some outages and reduces the length of those that do occur. A smarter grid makes it easier to connect distributed, renewable energy sources to the electricity grid, reducing greenhouse gas emissions, and a smart grid also allows consumers to monitor and adjust their energy use away from peak hours, further benefiting the health of the grid. Ultimately, the smart grid offers grid operators, utilities and consumers significantly more data about energy usage, and each stakeholder group can use this data to improve efficiency in the process. Many experts agree that a smart grid can improve energy efficiency by nearly 10 percent, saving the U.S. economy as much as $42 billion on energy costs. 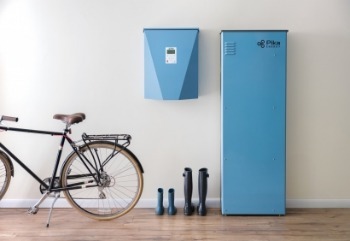 Going back to battery storage, recent advancements in the technology are making batteries a viable grid asset, and a smarter grid makes it much easier to incorporate batteries as a key part of the power grid. Batteries – whether at your home or at an electric utility’s site, like Elon Musk’s aforementioned project – can be used to store energy when the power demand is low and production is high. For example, when you’re at work, solar panels or your normal source of electricity can be used to charge up your battery storage packs. Instead of paying for the costly energy at the peak time when you return home, you can use the already stored – and already paid for – electricity in your batteries to power your oven, A/C and television. Now imagine this on a greater scale if it’s the utility that has the battery storage. A smart grid offers many ways to improve the efficiency of today’s grid, and one of these ways is the widespread connection of battery storage technology to help smooth the variation of supply and demand. For the next three months, all eyes will be on Tesla’s Australian project to see a long-awaited technology come to fruition.